Even though fall has not quite arrived, I have been feeling the urge to enjoy warm, nurturing comfort foods. This weekend, we were so busy organizing the house for back to school, that we decided to order Chinese food one evening rather than cooking. We order the exact same selections from the same restaurant every single time. In fact, we just tell them to give us what we got last time. That would be: vegetarian fried rice, vegetable lo mein and tofu in garlic sauce. No MSG. So delicious. I want it again right now. And that would be my rum and coke on the right. House cleaning is hard work. 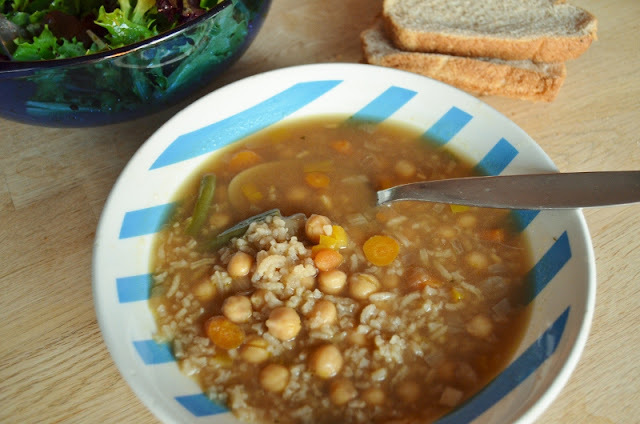 One night, I made a simple old favourite: chickpea and rice soup. It is super easy to make but it tastes like it was more work. Recipe below. I made another chickpea soup on a different night. This one features zucchini and diced tomatoes. I had never made focaccia before. I decided to try it, using dough that I made in the bread maker. I mixed garlic and fresh basil into the dough. I thought it turned out well for my very first try. Of course, fall means baking (to me, anyway). 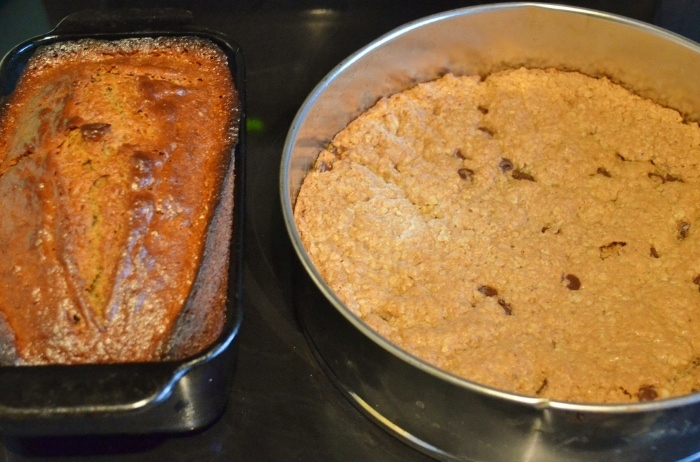 One night, I decided to make not one, but two baked goods. 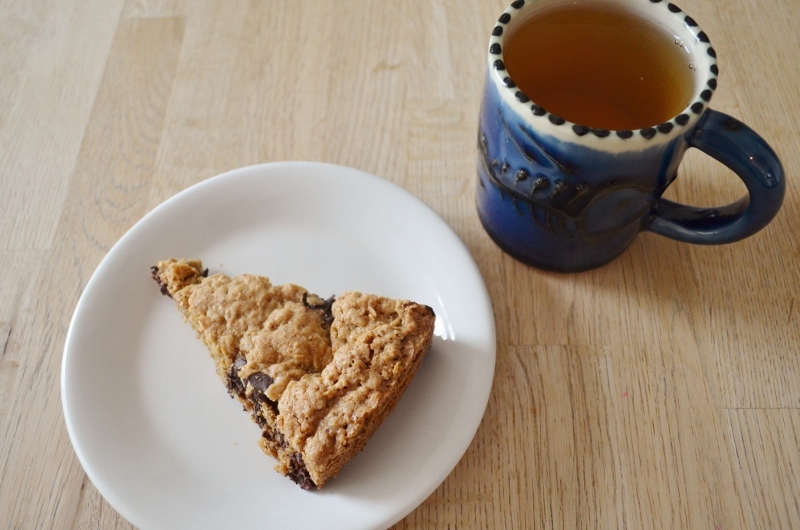 While the vegan banana bread with dates was in the oven, I whipped together some chocolate chip cookie wedges (recipe here). They are dense with oats and quite delicious. 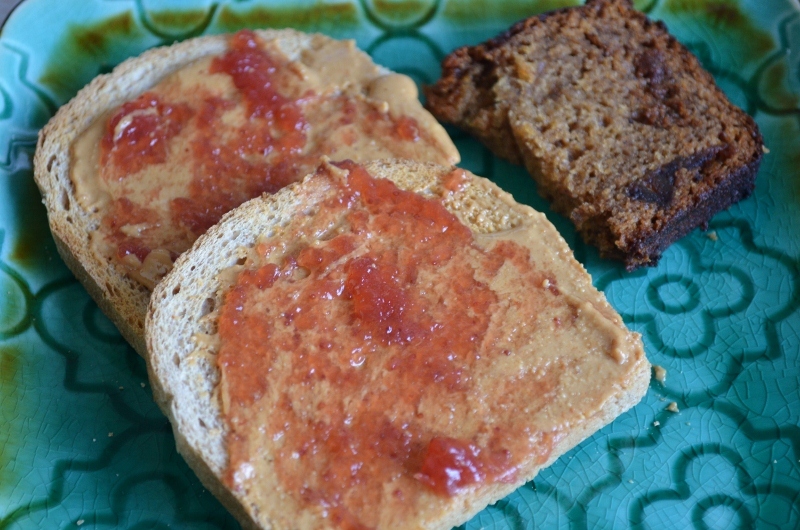 I enjoyed the banana bread for breakfast the next day, along with spelt toast topped with peanut butter and jam. Yesterday, I had some of the chickpea tomato soup for lunch. 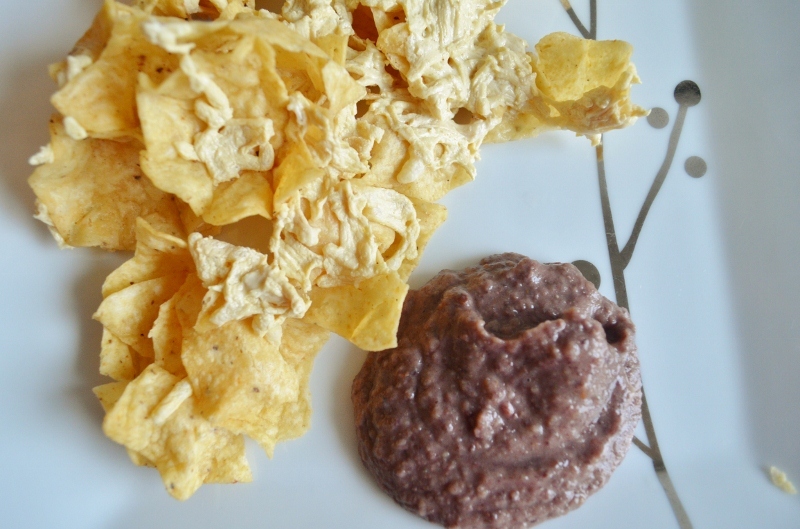 I also enjoyed tortilla chips baked with Daiya vegan cheese and served with black bean dip. The dip is simply one (19 oz) can of black beans drained and blended with 1/2 cup salsa and a clove of garlic. I put in a bit of salt too because I use canned beans with no salt added. What kind of food are you eating as we transition to a new season? Add the onion, carrots and garlic. Cover and cook, stirring occasionally, until softened slightly, about 5 minutes. Stir in the orange pepper and the green beans. Add the water, vegetable bouillon and soy sauce. Bring to a boil, then reduce the heat to low and simmer until the veggies are tender, about 15 minutes. Add the chickpeas, salt and pepper and cook 5 minutes longer. Stir in the rice and heat for another minute. Serve. Sharing this recipe at Lifeologia's Potluck Party. Love these posts, particularly at lunchtime! They make me hungry while I'm writing them! 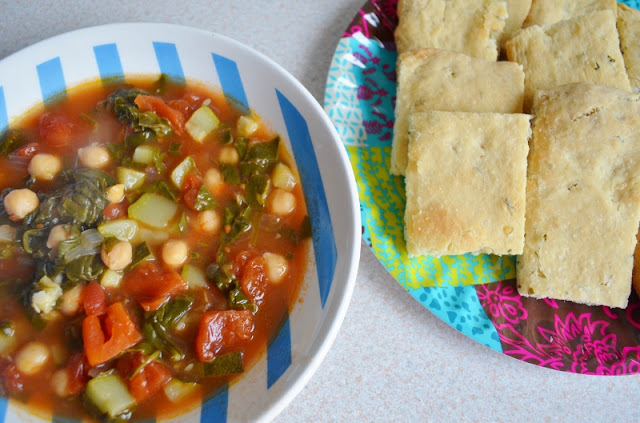 Yum- I'm going to try that chickpea and rice soup! Looks like something that I'll love. What a fantastic eating day! That bread looks amazing! Amazing meals Joann! Great inspiration! 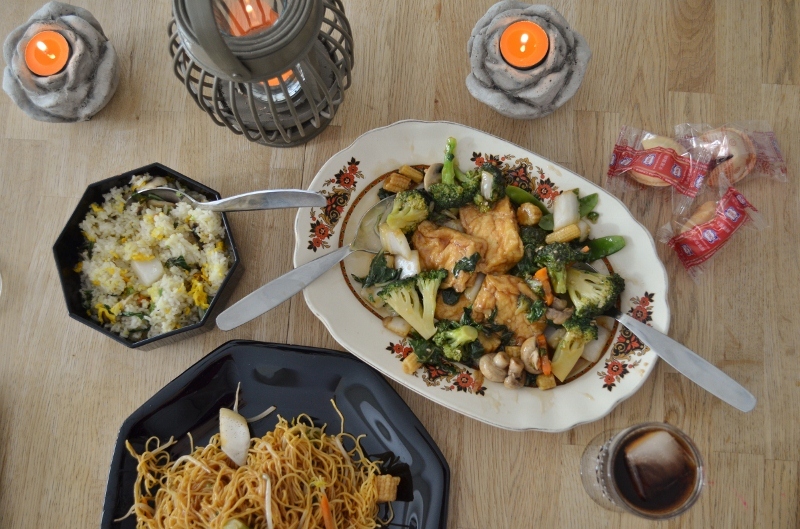 What a wide selection of amazing meals!